Magical Messes: Layout Share and GIVEAWAY! Happy Tuesday, everyone! It's an especially happy one for me--I have the day off tomorrow! I will definitely be scrapping! First of all, I am excited to say that I have another giveaway today, with some more fun stuff I got at Tuesday Morning! A good blogger would have taken this photo with a real camera instead of a phone. Whoops! If you'd like to enter, please leave a comment letting me know if you like to read personal posts, purely scrappy posts, or a mixture of both If you would like extra credit (aka, an extra entry), I'd love to know what type of personal posts you like to read (marriage, paleo lifestyle/recipes, living on a budget, our everyday life/adventures, etc.). 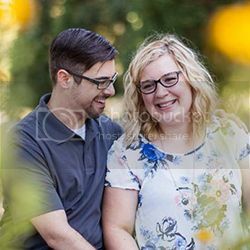 If you are following me on Google Connect (see side bar of blog), let me know and I will enter you two more times! The giveaway is open through Sunday, September 22nd, and I will announce the winner shortly after! I also have a pair of layouts to show you today. The first is the layout I was working on in my Scrappy Blog Tour post. I added embellishments and the finishing touches! I'm actually very happy with the way this turned out, purely based on the color scheme. I absolutely love the Basic Grey Grand Bazaar collection, and regret not getting more than the 6"x 6" pad! I think the colors are absolutely stunning, and so unique. Let's be honest, had I purchased more, I probably wouldn't have used it. Is't that the way it goes? 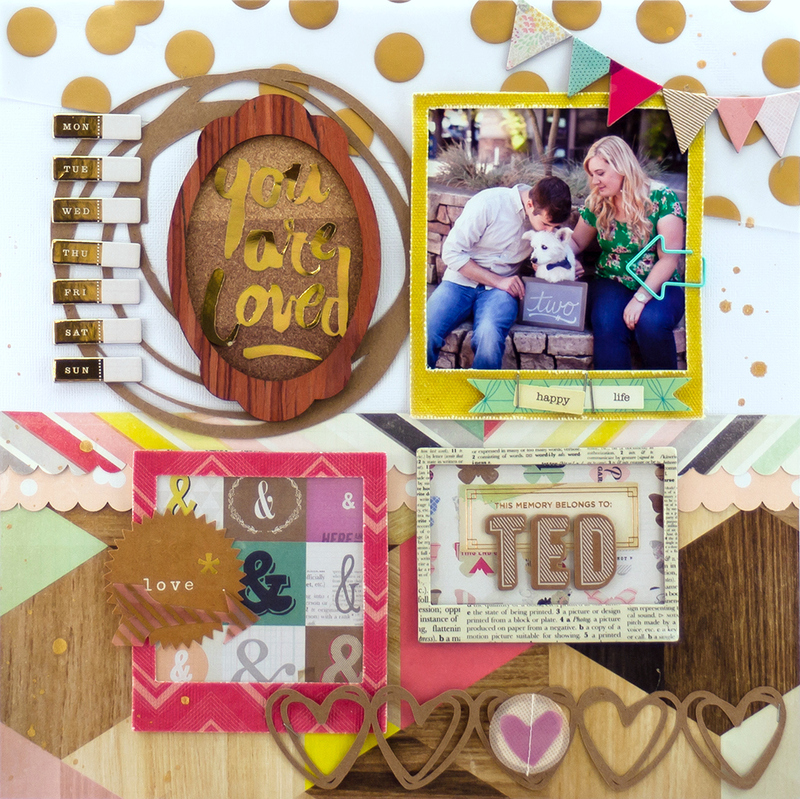 This layout was inspired by the wood title (a gift from my awesome friend Lisa). I wanted it to be the focus of the page, and I thought the photo strips balanced it out nicely. The patterned paper design was inspired by a row of colored pencils I saw somewhere (probably Pinterest). To create the bordered design, I drew a curve on the bottom with a pencil, and one that mirrored it on the top. I cut strips all the same width (about 1/2"), and adhered them to the page, using the drawn curves as a guideline. I can't wait to try this with other shapes and lengths! My second layout primarily uses Crate Paper notes & Things (with a dash of Maggie Holmes). I cut out several different shapes from kraft paper using my Cameo. I played around with the combinations and placement, until I decided on the circles (from the Silhouette Store) and heart border (from The Cut Shoppe). I tried using multiple pictures, and a different arrangement of frames, until I decided on these four. I actually like how it's a spin on the traditional grid! I was pretty pumped about the "Happy Life" frame from the original Maggie Holmes collection. I've been saving that one for something special, and I love how that coordinates so will with Notes & Things! 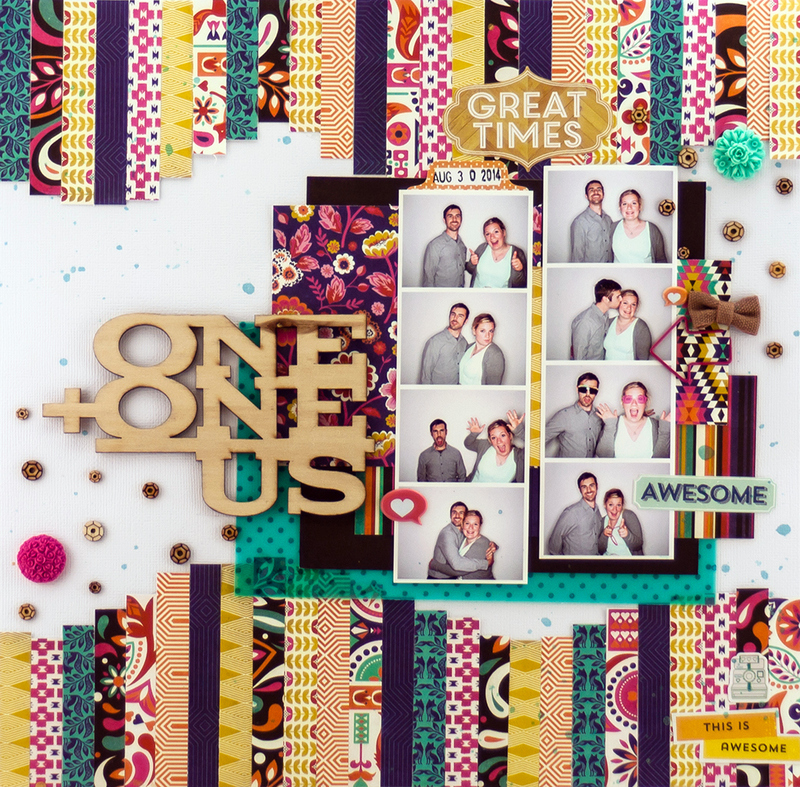 Three cheers for Crate Paper collections and their coordinating magic!! 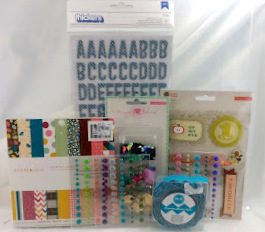 I'm excited to spend Wednesday creating in the Stewart Scrapbooking Studio! I hope today brings you some scrapping time as well! 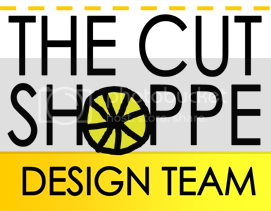 I'll be back tomorrow with my part of a super fun blog hop with Clique Kits and The Cut Shoppe! These are amazing, Allie!! Love the cute photo strips on your first layout!! I follow you through email. I always think a mix of both scrappy and personal is nice. That way we get to know you a bit. Regarding what kind of personal - just everyday life and adventures. Cute layouts! I love the mix of personnel and scrappy posts, keep em coming! I primarily enjoy scrappy posts, but it's nice to see the personal side of things too from time to time. Love your layouts, Allie. I like both personal and scrappy posts. I really found all your posts about your autoimmune struggles inspiring. I love both your layouts. They have a real happy feel to them. As for blog posts I like a mix, but I really enjoy it if the personal stuff is somehow related to the layouts. I like more scrappy, less personal--but personal is certainly okay! Your layouts are beautiful. I prefer more scrappy and less personal. I find some people put way to much "personal" information out there about themselves, their family, their spouses and that should for home, not for all the world to see. Nothing seems sacred anymore. But, since you are giving a choice, I'd say budget, shopping, etc. Really like your page design with all those strips on the first LO. Another great use for the 6x6 pads that we love so much. And I was glad to read your post about your health struggles. Made me feel I know and understand you better. So a mixture of personal and scrappy posts suits me. both layouts are beautiful.. love the colors.. I love mixture of both--scrappy projects along with budget, shopping, etc.. I love your layouts! I prefer scrappy layouts to help me get inspired! Thanks for the chance! I love your layouts! I appreciate more scrapping layouts as they help me get inspired! Thanks for the chance!